View downstream of a duct section with nozzle manifolds in the foreground and the mist eliminators in background. 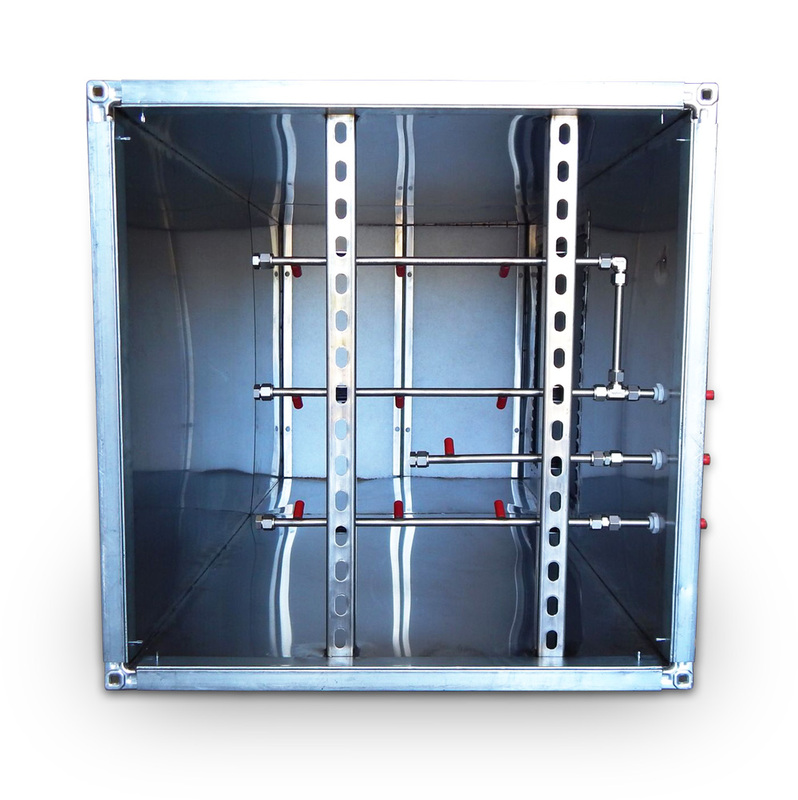 Installing an atomizing humidifier inside of an air handling unit (AHU) can be difficult if there’s not enough room inside the unit for optimal evaporative distance (the distance the atomized water droplets travel from the nozzles to the mist eliminators). 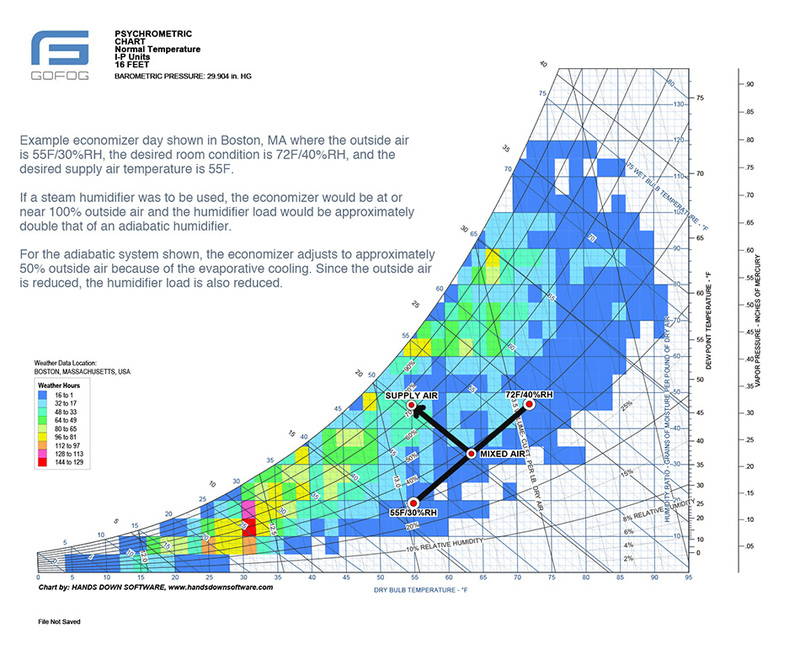 Normally, an atomizing humidifier section would require 3-6’ of evaporative distance. So, what do you do if the space just isn’t available? It’s not as difficult as you might think. You just install the nozzle manifolds and mist eliminators into a modified section of ductwork instead. 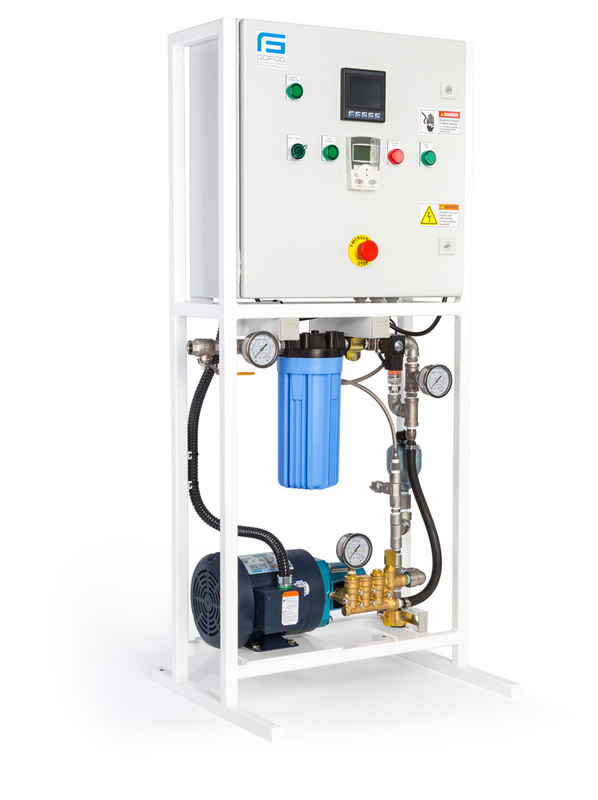 Last month we showed you how to humidify small applications without busting the budget by using our Pico Pump Rack. 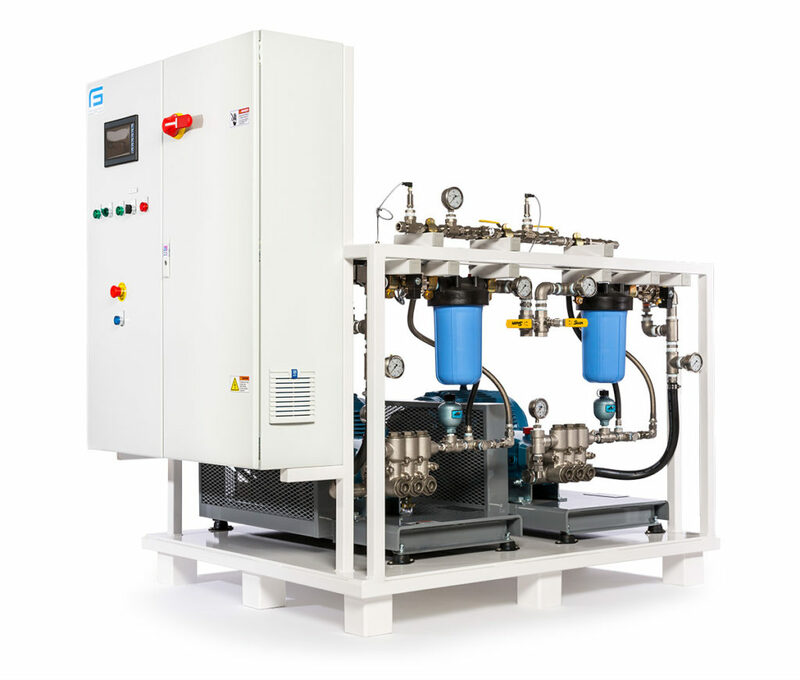 Here we explain how to properly select a fog pump system for large applications that require thousands of pounds of water per hour. As a custom humidifier manufacturer, we understand that humidity loads vary greatly from job to job. For example, some projects may require over 5,000 lbs/hr whereas a small print shop or clean room may only need 100 lbs/hr or less. These smaller projects can be difficult because the humidity load is too low to justify the cost for a commercial humidifier and too high for a residential humidifier. 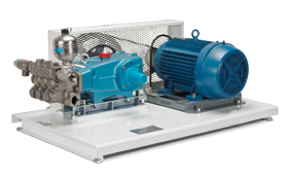 The Pico Pump Rack bridges this gap without sacrificing quality. 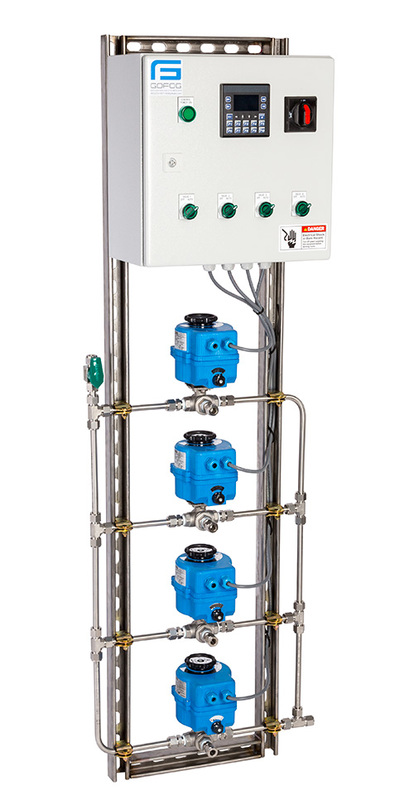 All units come with the normal bells and whistles you’ve come to expect (PLC, VFD, CAT Pump), but at a fraction of the size and cost. In the second part of this series we explain the positive and negative impacts of evaporative cooling and why it should never be overlooked. When designing a fog system for a hot dry climate, the evaporative cooling effect is never ignored because it’s an integral part of the design. However, for areas that are typically humid in the summer but need to add humidity during the dry winter months, it can sometimes be an afterthought. If unaccounted for, you may find yourself fighting for control of the HVAC system. Autumn is finally here... open the windows, turn off the A/C and enjoy the fresh cool air. Many non-residential buildings are also enjoying this same benefit by using air-side economizers which allows “free cooling” through the HVAC system. The benefits are obvious but the lower moisture content in the cool air can make it difficult to maintain humidity levels. 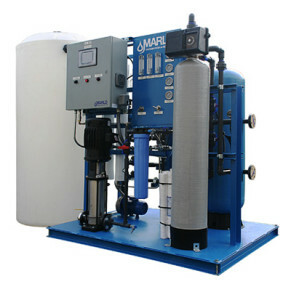 Conventional wisdom would assume that adding a steam humidifier to raise the relative humidity would resolve the issue, but since they require approximately 1,000 BTUs of energy to evaporate just 1 lb of water, the energy consumption can potentially offset any savings provided by the economizer. For this reason, many building operators will disable the economizer and mechanically cool the return air instead of running the boiler for humidification. Essentially picking the lesser of two evils and simplifying the sequence of operation. 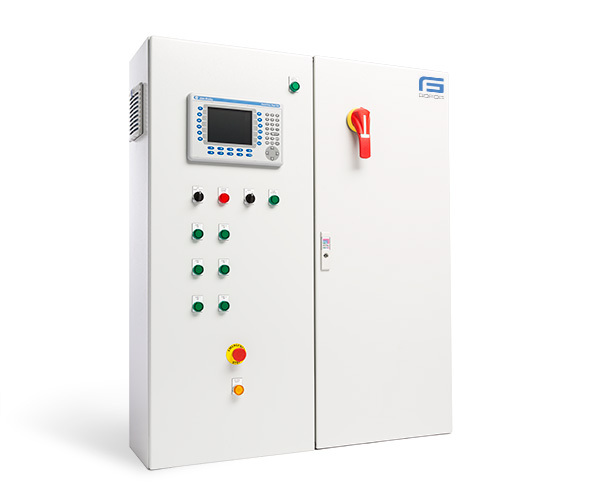 Using only the highest quality components, GoFog’s Control System meets our demanding requirements but we realize our standards may not always align with yours. ABB VFD’s not your cup of tea? Not a problem, we regularly use Allen Bradley, Yaskawa, and other major suppliers.